An All Progressives Congress Governor and his convoy have been attacked by angry youths in his state. Some youths of the All Progressives Congress (APC) in Edo Central senatorial district under the auspices of Esan Youth Movement have attacked the convoy of Governor Godwin Obaseki. The youths pelted the convoy with sachet water because of Governor Obaseki insistence that he was in the area to meet with party leaders and not the youths. Governor Obaseki was at Irrua, headquarters of Esan Central to meet with Edo Central party leaders as part of his consultations ahead of the party primaries. Some party sources said Governor Obaseki is rooting for consensus candidates to emerge while others are insisting on direct primaries. It was gathered that before the attack, the youths were chanting songs of abandonment, marginalization and no go imposition of candidate. 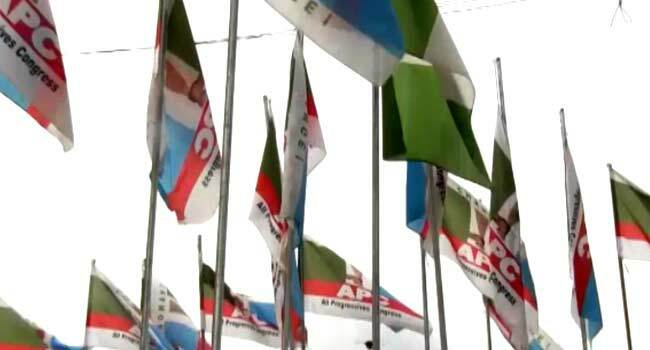 The angst of the Edo Central APC leaders was alleged plot to impose the current Commissioner for Finance in the state, Mr John Inegbedion, as the senatorial candidate of the party in the area. They were said to have condemned the plot and insisted that nobody would impose candidate on them. A former Commissioner for Agriculture and Natural Resources, Barr Ken Ihensekhen, said they were surprised that the governor abandoned all those who made him governor. Chief Francis Inegbeneki who denied that he imported the youths to boo Governor Obaseki said the issue was the alleged endorsement of Inegbedion as senatorial candidate by Obaseki. According to him, “Those that were shouting outside the meeting wore t-shirts with Esan Youth Movement inscribed on them. They were not brought by me even though I am a former National President of the movement. “Before we came out we heard some people booing him. The meeting ended successfully. We got information that the SSG invited the five council chairmen where he charged them to deliver John Inegbedion as the Senatorial candidate. Another source said trouble started when the youths met with the governor and pleaded to have audience with him but the governor declined saying his plans was to meet the leaders.